Book Collections of Ward Edward Barcafer, Jr. When my wife Suzette Delashmet Shockley passed away after a short illness, I was devastated with grief and knew I would never see her again. I could not believe she was gone forever. Boy, was I wrong. I understand that she, her consciousness, personality and who she is had moved on to a beautiful, joyful and loving experience to a renewed life in a place that we call Heaven. In this book, will read about her transition, where she is now and how our departed can communicate with their loved ones left behind by a series of signs and messages. Ward Barcafer Jr. was naturally filled with grief and desolation after Suzette, his wife of thirty-three years passed away following a brain tumor operation. 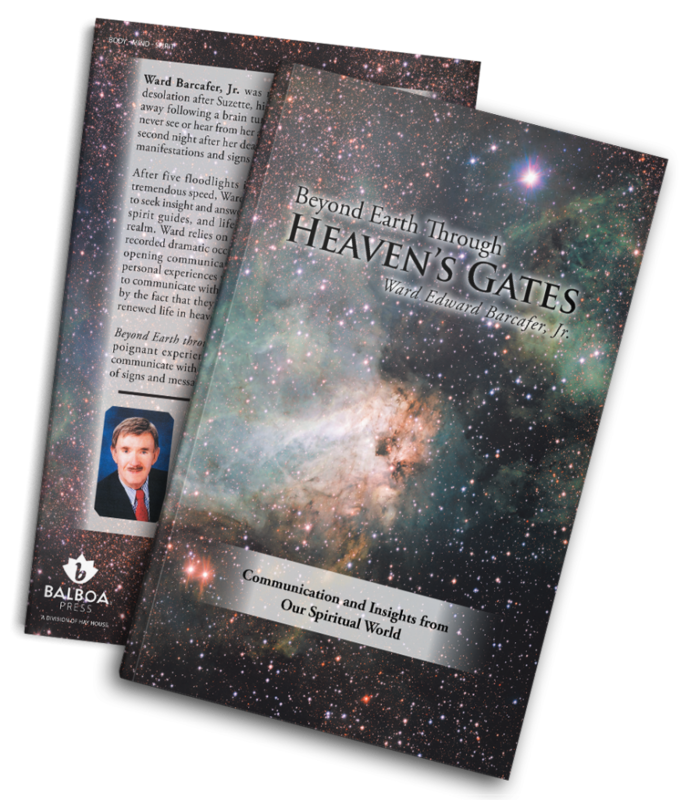 Certain he would never see or hear from her again, Ward was shocked when, on the second night after her death, he began receiving inexplicable manifestations and signs from her. 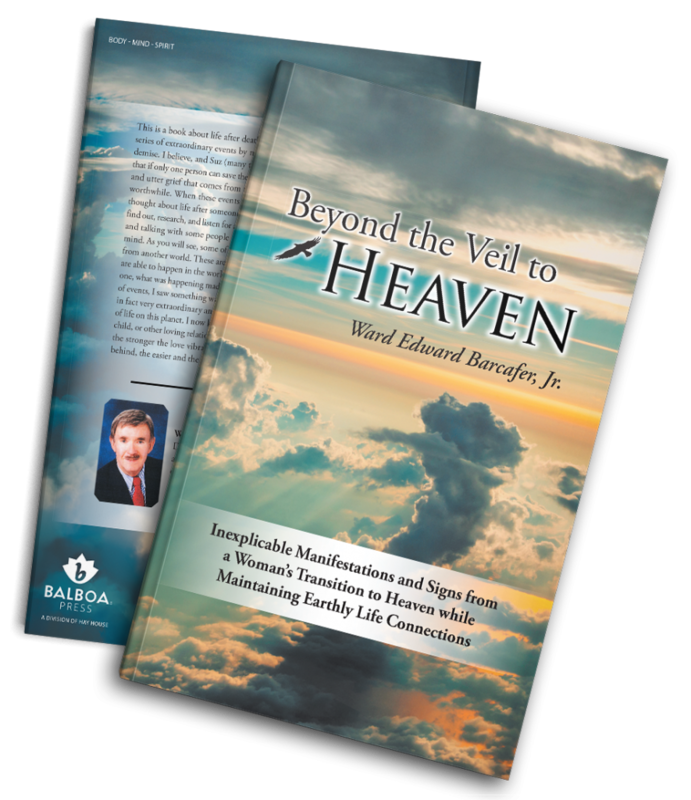 After five floodlights in his ceiling began flashing at a tremendous speed, Ward reveals how he set out on a journey to seek insight and answers about after-death communication, spirit guides, and life after death as it unfolds in a new realm. He relies on a series of handwritten journals that recorded dramatic occurrences over several months and eye-opening communications from his spirit guides to share personal experiences with others that confirms it is possible to communicate with departed loved ones and be comforted by the fact that they have moved on to a joyful, loving, and renewed life in heaven. Join My Mailing List For continuing information about after death communication!